Hello friends! I've had a busy several days so I hope you will forgive my absence. Nevertheless, I'm back and all these spring like temperatures here in the south have me ready to change out my wardrobe! Handbags are my weakness and such an easy way to add a punch to any outfit. 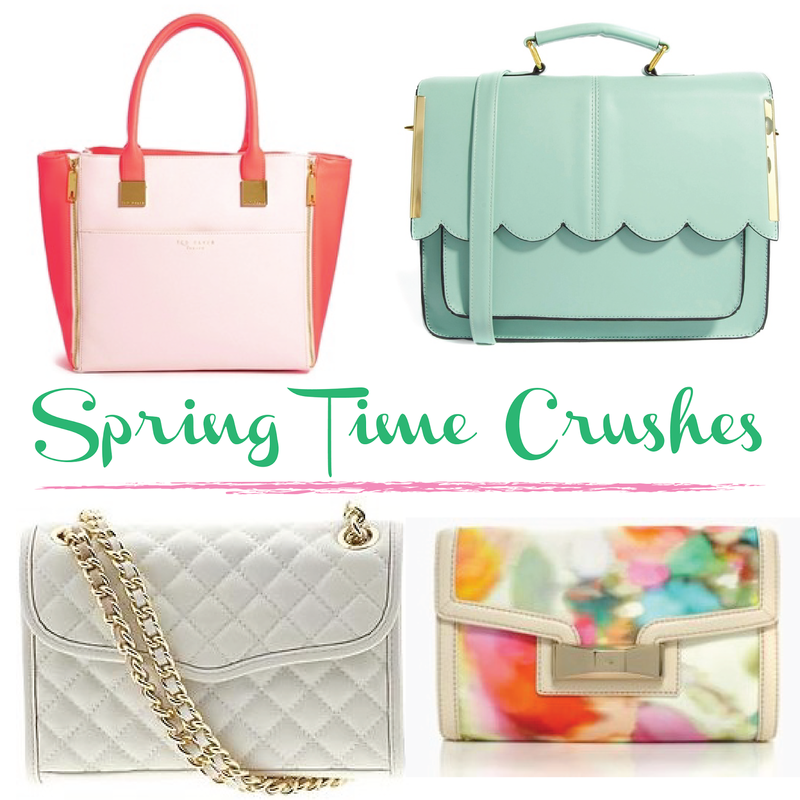 Here are a few favorites I'm crushing on for spring. Do you spot any favorites here? Here's hoping these milder temps are here to stay! Have a wonderful Friday Eve, dolls!